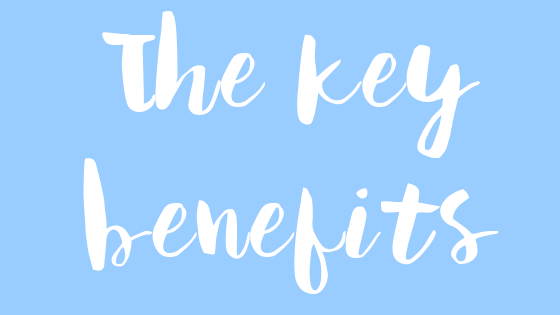 In PART 1 of ‘Why Yoga is important for babies, children and their families’, Tara McGregor looks at the key physical benefits of Yoga. Yoga is an ancient Indian practice for living a meaningful and purposeful life. The 8 limbs of yoga, the Sutras, were discussed in our blog post in September: What are the limbs of yoga and how are they used in our classes?. Baby, children and family practice tends to focus on asanas (yoga postures) and pranayama (breathing techniques). Ethical concepts are often introduced through stories. As the children mature, these are discussed more explicitly, along with age-appropriate mindfulness activities. Yoga for children promotes physical activity which is fundamental for a healthy weight and a healthy heart. It is important as a foundation for motor skills. Increasingly research is linking physical health to psychosocial wellbeing and cognitive development (see here). We will discuss this in more detail in PART 2 of this blog. In baby yoga, movement activates the baby’s muscles and stimulates a variety of sensations. The baby starts to understand that movement has consequences. The adult can gently teach the baby to initiate the movements themselves by providing verbal cues (e.g. “1,2,3 reach”, repetition or saying/singing rhymes). Visual cues and incorporating sensory materials with different textures can support this as well. Therefore the baby learns that movement creates a consequence which as a result generates motivation to ‘have another go’. In addition to the developmental benefits, there are signs that baby yoga can aid digestion and improve symptoms of colic. Furthermore, it can also promote good sleep patterns. As children grow out of babyhood, they experiment with different body shapes through different yoga inspired postures (asanas). This increased ‘repertoire of movement’ supports learning new movement patterns or skills. Movement and associated sensory experiences help a child build up a detailed mental image of their body in their brain (a body schema). A child with a good, up-to-date body schema will co-ordinate their body well. Children are naturally very flexible. Practising yoga encourages them to maintain that flexibility as they get older. A child’s bones grow and lengthen at growth plates, however in contrast muscles depend on regular movement for optimal growth. The Children Inspired by Yoga poses activate muscles throughout the body. Seahorse pose develops the neck and lower back muscles, sun pose focuses on the arms and shoulders, octopus the abdominals and butterfly opens up the hips. Yoga poses such as crab and dog use a child’s body weight to build strength in core muscles groups. Strength and activity in the core muscles promotes postural control, encouraging the correct alignment of the spine and pelvis. Similarly strength and flexibility together are therefore likely to result in fewer and less-severe injuries when children engage in other activities. For progress at school, good left right co-ordination and control across the mid-line promote effective cognitive processing and writing. Shoulder muscle activity provide important foundations for writing. Improved balance and postural control means children need to pay less attention to their posture and have more ‘attentional capacity’ for cognitive processing in a school environment. Tara McGregor is the Children Inspired by Yoga franchisee in Edinburgh, where she has been teaching the Tatty and Baby Bumpkin programmes for over 6 years. “I love working with children of all abilities and it is a privilege to be introducing them to Tatty Bumpkin, the magical world of movement and all the benefits it brings”. To explore Children Inspired by Yoga further, please visit our website .